Become a Honolulu Museum of Art Collector and check out our monthly series, A Think & A Drink, giving you behind-the-scenes access and insider knowledge about the latest and the greatest happenings at the museum! Every third Thursday of the month our museum curators and artist friends lead talks through our galleries, collections, and art-making demonstrations! Learn about collecting, mingle with artists and new friends, and immerse yourself in art and the community we live in. 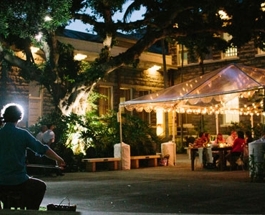 For more information, contact Ching Jen Lum at clum@honolulumuseum.org or 808.532.3671. 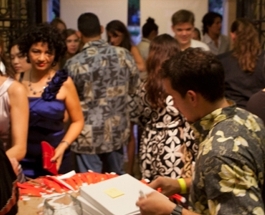 Mahalo to our corporate supporters. Join our great group of volunteers! 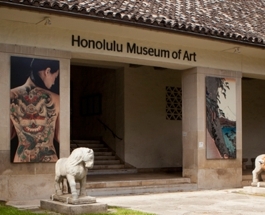 Corporations that value innovation and discovery support The Honolulu Museum of Art. 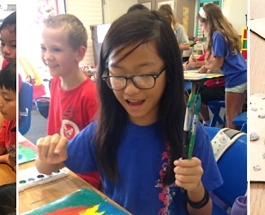 Museum instructors bring art education to schools.